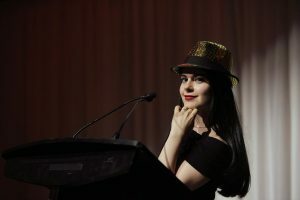 The Globe and Mail walked off with six of the 21 awards at the 59th National Newspaper Awards gala on May 9 in Toronto. La Presse of Montreal was next with five awards. The Ottawa Citizen and the Toronto Star earned two each. The Canadian Press, Winnipeg Free Press, National Post, Saint John Telegraph-Journal, Prince George Citizen, and The Record of Waterloo Region had one each. The 21 winners were among 63 finalists in the 21 categories. There were 1,408 entries in this year’s competition for works that appeared in the year 2007, the third highest in NNA history. In all, 22 news organizations were nominated. Winners received cheques for $1,500 and a certificate of award. Runners-up received citations of merit and cash awards of $250 each. This is the 19th year for the NNAs under a Board of Governors which includes editors, publishers and the public from across Canada as well as representatives from the Toronto Press Club. Previous to 1989, the NNAs had been sponsored by the Toronto Press Club. The awards are administered from the National Newspaper Awards office at the Canadian Newspaper Association. Stephanie Nolen of The Globe and Mail has earned her third National Newspaper Award. Bruno Schlumberger of the Ottawa Citizen has won his fourth NNA for photography. Serge Chapleau of La Presse in Montreal has won his sixth NNA for editorial cartooning. News Feature Photography: Winner – John Lehmann, The Globe and Mail, for a photo of a young mother kissing her conjoined twins in Vernon, B.C. ; Runners-up – Bruno Schlumberger, Ottawa Citizen/CanWest News Service, for a photo of retired military nursing sisters having a snack at the National Military Cemetery; Tara Walton of the Toronto Star for a photo of a two-year-old girl recovering from a heart transplant. Beat Reporting: Winner – Bruno Bisson, La Presse, Montreal, for reporting on Montreal’s transportation issues; Runners-up – Frank Armstrong, Kingston Whig-Standard, for crime and justice reporting; Jen Skerritt, Winnipeg Free Press, for stories on health care in Manitoba. Explanatory Work: Winner – Stephanie Nolen, The Globe and Mail, for a story on how inexpensive vaccinations, mosquito nets and vitamins are saving the lives of children in the developing world; Runners-up – Maria Cook, Ottawa Citizen, for a story on an engineering revolution that makes it faster and safer to replace aging bridges; Linda Gyulai, The Gazette, Montreal, for an examination of Montreal’s crumbling water system from reservoir to sewers. Politics: Winner – Kathryn May, Ottawa Citizen, for stories about the mismanagement of the RCMP pension and insurance funds; Runners-up – Gary Dimmock, Ottawa Citizen, for the alleged political backdoor negotiations of mayoral candidate Terry Kilrea and Ottawa Mayor Larry O’Brien; Paula Simons, Edmonton Journal, for stories on an Alberta government agency’s tactics against a group of farmers. Short Features: Winner – Roy MacGregor, The Globe and Mail, for a story on the funeral service for a slain RCMP officer; Runners-up – Émilie Côté, La Presse, Montréal, for a piece on Bangladesh refugees forced to flee their homes because of rising seas; and Graeme Smith, The Globe and Mail, for a story on what happens when an Afghan is found dead. Local Reporting: Winner – Gordon Hoekstra, Prince George Citizen, for stories about air quality issues in the city; Runners-up – Elisabeth Johns of the Cornwall Standard-Freeholder for a series on domestic violence in the community; Ann Lukits of the Kingston Whig-Standard for stories on declining care for seniors and a shortage of doctors in nursing homes. Special Project: Winner – La Presse of Montreal for a worldwide look at the implications of a world without a clean and abundant supply of water; Runners-up – Halifax Chronicle-Herald for a series of stories in Afghanistan focusing on the 2nd Battalion, Royal Canadian Regiment, based in the Maritimes; Toronto Star for a project on poverty with a focus on social justice. Sports Photography: Winner – David Cooper, Toronto Star, for a celebration leap by Ontario skip Glenn Howard in a curling championship; Runners-up – Paul Chiasson, The Canadian Press, for a photo of a Canadian hockey player upside down after a check from a Russian player; Darren Stone, Victoria Times Colonist, for an all-out stretch by the ball carrier to reach the end zone in a football game. Business: Winner – Boyd Erman, Jacquie McNish, Tara Perkins and Heather Scoffield, The Globe and Mail, for stories on a near financial institution collapse as a result of the sub-prime mortgage crisis; Runners-up – Renata D’Aliesio, Calgary Herald, for a story of how the government and unknown agencies seek to regulate water; Eric Reguly, Boyd Erman, Sinclair Stewart, Andrew Willis of The Globe and Mail for work on the takeover of BCE Inc. Columns: Winner – Gordon Sinclair, Winnipeg Free Press; Runners-up – Les Leyne, Victoria Times Colonist; Margaret Wente, The Globe and Mail. Investigations: Winner – Michèle Ouimet, La Presse, Montreal, for stories on Canada’s mission in Afghanistan and what has happened to aid sent there; Runners-up – Jim Bronskill and Sue Bailey of The Canadian Press for an investigation into the use of Tasers by police forces; Kevin Donovan, David Bruser and Andrew Bailey of the Toronto Star for a series on phony charities. Arts and Entertainment: Winner – Marty Klinkenberg, Saint John Telegraph-Journal, for stories on New Brunswick arts and entertainment; Runners-up – Lisa Rochon, The Globe and Mail, for stories on architecture; Jon Wells, The Hamilton Spectator, for a story on producer and songwriter Daniel Lanois. Sports: Winner – Colin Hunter of the Waterloo Region Record for features about unusual sports such as the culture of a skateboard park; Runners-up – Kevin Mitchell of the Saskatoon StarPhoenix for story about Fred Sasakamoose, a young Cree who gave up on the NHL to return home; and Mary Ormsby, Toronto Star, for stories on minor hockey’s failure to attract immigrants, the relationship between the late John Ferguson and his son John Jr., and the purchase of a showjumping horse by a wealthy princess. Feature Photography: Winner – Bruno Schlumberger, Ottawa Citizen/CanWest News Service, for a photo from Paris of a painter hiding his face from the camera alongside a self-portrait; Runners-up – Charla Jones, The Globe and Mail, for a photo of Leonard Cohen at his home in Montreal; Phil Hossack, Winnipeg Free Press, for a shot of lightning illuminating an abandoned grain elevator. International Reporting: Winner – Graeme Smith, The Globe and Mail, for stories on the torture of detainees in the Afghan war; Runners-up – Stephanie Nolen, The Globe and Mail, for a story on the quest in South Africa to find and identify bodies of people killed during the apartheid era; Doug Saunders, The Globe and Mail, for a series on the world’s middle class. Editorials: Winner – André Pratte, La Presse, Montreal; Runners-up – Gerald Flood, Winnipeg Free Press; Mary Janigan, The Globe and Mail. Editorial Cartooning: Winner – Serge Chapleau, La Presse, Montréal; Runners-up – Patrick Corrigan, Toronto Star; John B. Larter, freelance, Calgary. Long Features: Winner – Ian Brown, The Globe and Mail, for a feature on spring cleaning and the age of clutter; Runners-up – Carolyn Abraham, The Globe and Mail, for a story on the growing movement to bury the unborn; Sue Montgomery, The Gazette in Montreal, for a feature on Dawson College shooter Kimveer Gill. News Photography: Winner – Dave Chidley, The Canadian Press, for a picture of Conrad Black giving a one-finger salute to the press; Runners-up – Ashley Fraser, Ottawa Citizen/CanWest News Service, for a photo of Santa Claus in paddywagon after being arrested during a protest; Cathie Coward, The Hamilton Spectator, for a photo of an imprint left behind after a five-year-old boy fell nine stories onto the soft-waterlogged ground…and lived. Breaking News: Winner – Mary Vallis of the National Post for coverage of the Virginia Tech massacre; Runners-up – Barrie Examiner team’s coverage of the massive fire that destroyed much of Barrie’s historic downtown; the Vancouver Sun team of Lori Culbert, Neal Hall, Jeff Lee, Chad Skelton and Derrick Penner for coverage of the Pickton verdict.